Our activities revolve around Gold (lat. Or) – be it the admiring, dreaming, designing or making of it. Welcome to ORBIT GOLD’s universe! Juerg has been creating fine handmade jewellery since 1979 and he has won an enviable international reputation for individual style and impeccable craftsmanship. Winner – New Zealand Tahitian Pearl Trophy (necklace category). Australian Jeweller magazine Air New Zealand’s Panorama magazine Bangkok Gems & Jewellery magazine JCK USA magazine Jewellery Time New Zealand magazine L’Oreal Fashion Week magazine Style magazine Women Today magazine New Zealand’s Otago Daily Times and Southland Times newspapers TV NZ ONE Network News, Q 92FM Radio etc. His exhibition credits to date include displays of work in New Zealand, Switzerland, Hong Kong, America, Italy and Japan. His jewellery is treasured and held in private ownership all over the world. Juerg is a member of the Jewellery Manufacturers Federation of New Zealand, the New Zealand Jewellers & Watchmakers Federation, the Gemological Assoc. of NZ and the International Gem Society. He has been inducted into the prestigious NZ Goldsmith Guild. He is a graduate of the School of Applied Art in Berne, holds a Swiss Certificate of Proficiency as Goldsmith and a GAA Diamond Grading Certificate. Juerg works from his studio overlooking Lake Wakatipu near Queenstown, at the foot of the Southern Alps of New Zealand. The gold he uses is from New Zealand goldfields, responsibly mined under the supervision of the Departement of Conservation and in compliance with the Crown Minerals Act. Juerg is one of very few jewellers worldwide that are able to buy gold directly from the miner in alluvial form. 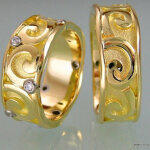 This offers an ethical choice of gold with an unbroken link from the miner to the wearer. 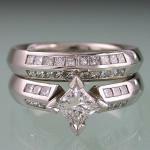 Platinum, diamonds and gemstones are sourced worldwide to match his work’s international appeal. 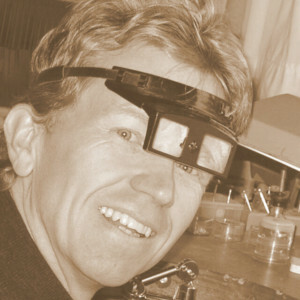 Juerg says: “I feel fortunate to be asked by clients to design and create custom made jewellery. Working in my studio is a passion for me, as much as it is a vocation. 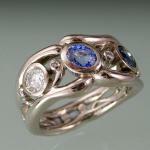 This passion is translated into my work and becomes a part of the jewellery. “With one-of-a-kind unique pieces, there is a personal reward in the design & manufacturing process, a connection with the eventual wearer is established. A percentage of all sales is donated to an Aid Project which aims to create better opportunities for children in rural Bolivia. We have met the local administrator personally and made lifelong friends with some of the wonderful people of Sorata. “Cerro Ricco” in Potosi, BOL was the biggest silvermine in the world and was worked by forced labour under Spanish colonial rule. Today, despite the apparent mineral-wealth, Bolivia remains one of the poorest nations on earth.